Staging a small room or home can be a bit challenging and while you don’t want to deceive buyers, you can do a few tricks of the trade to make space seem or feel larger than it actually is. 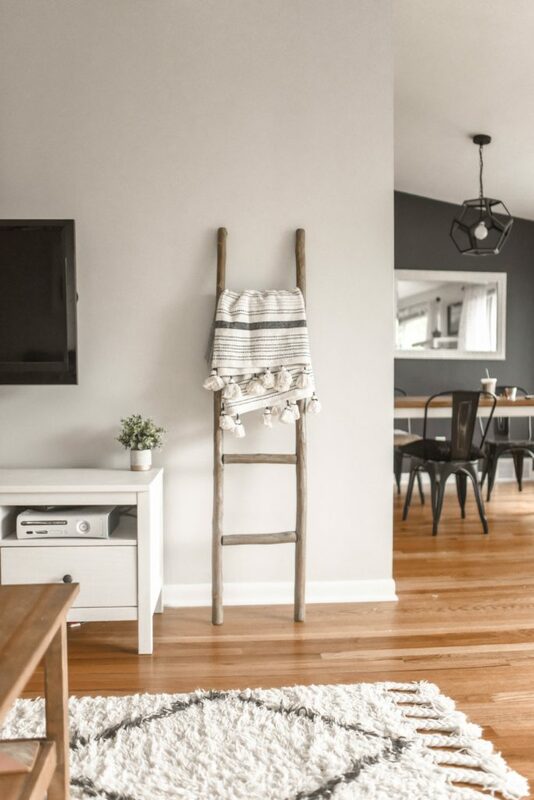 No one likes to feel cramped or crowded so if you’re staging your home for sale or just want to expand your own space a little more, use these simple tips to make a small space appear larger. Paint or wallpaper the ceiling to make the room look taller. You want your eyes to draw up boards, which in turn, will make the room feel larger. Stick to light tones and colors on the wall and the floor. Darker colors can make a room seem smaller and more closed in. Pull furniture away from the wall. Keeping the furniture right up against the wall can make things look and feel cramped. By pulling things away from the wall it shows that there is additional space and may give you extra room to hide things. Make furniture work double duty. Make use of hidden storage and double duty items by using Ottomans and coffee tables as additional storage. Keep decorations and knickknacks in sets of three and keep things larger than a cantaloupe. Small knickknacks and items may actually crowd a room. A striped rug can make a room appear longer as long as you orient the stripes the length of the room for optimal effect. Use furniture with exposed legs. Furniture that does all the way to the floor makes it look bulky and crowded. You can strategically placed mirrors to create the illusion of more space and subsequently, glass items will make it feel like there is more room as well. You can say floor space by hanging smaller lighting from the ceilings or create a sense of more space by doing away with overhead lighting altogether. Use a larger art piece rather than a bunch of small pieces. Always go up and out when you can to give the illusion of a larger space. 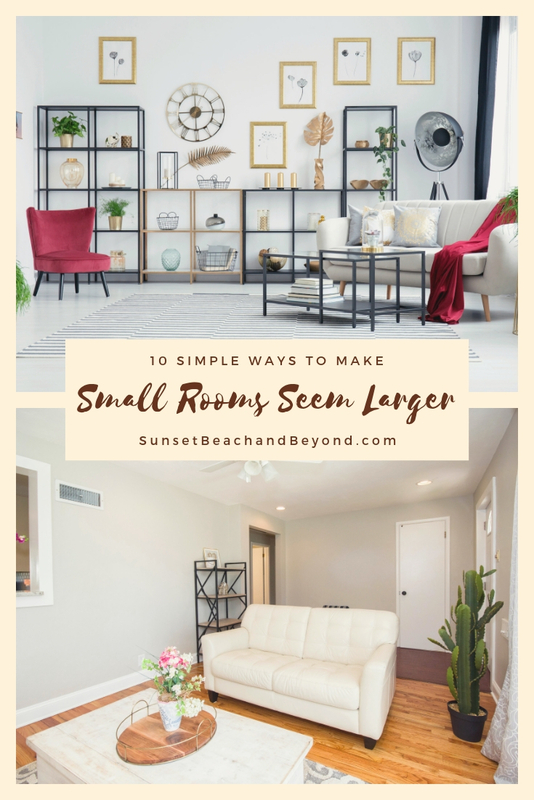 Whether you are selling your small house or condominium or just looking to make the room feel larger, these 10 tips will certainly help get you started. 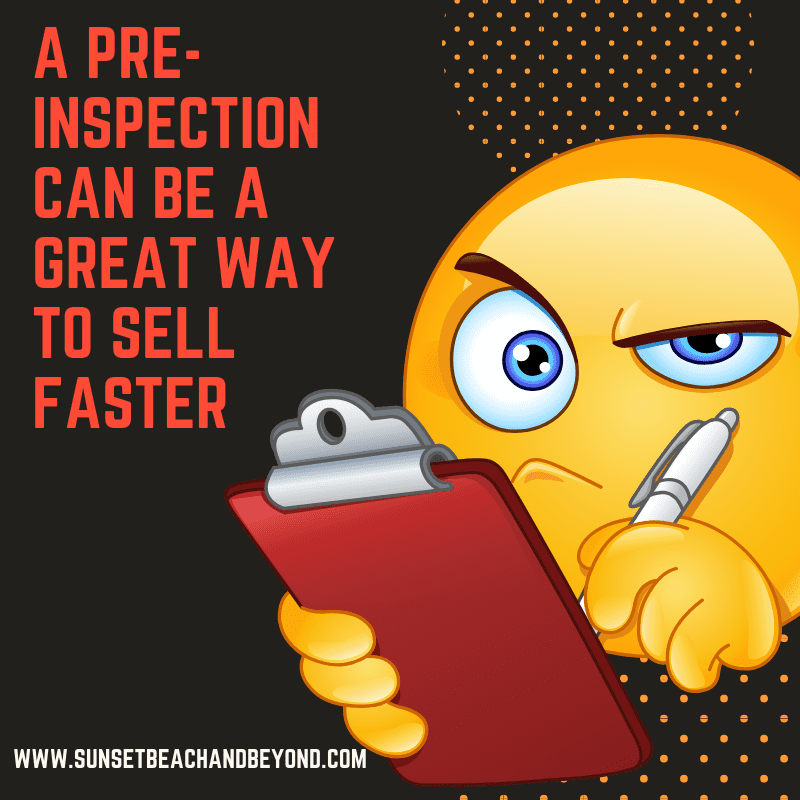 Will a Pre-Sale Inspection Help Sell a House Faster? 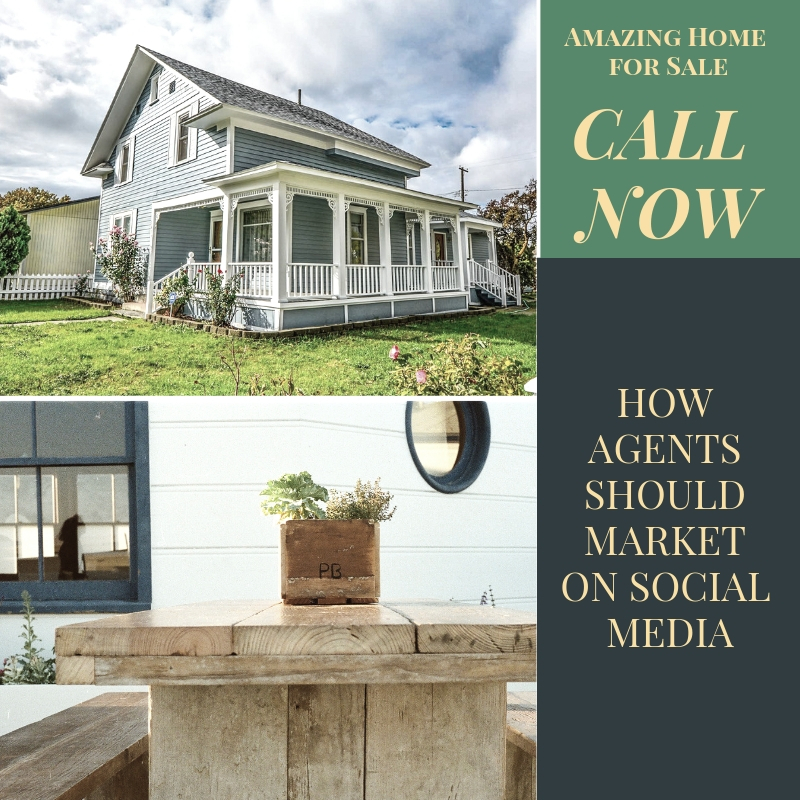 If you’re in a hurry to sell your home, and most homeowners are, then you’re probably looking at doing everything possible for a quick sale. One of those things could be getting a presale inspection. Unexpected items on an inspection is one of the most common reasons for a sale to fall through. The price might be right, buyers may love the home, but if there is something seriously wrong with the house, the deal may collapse. This is why getting a presale survey or inspection can be an excellent way to prepare your home for a faster sale. A survey or inspection will confirm any repairs or replacements that might not be obvious to the naked eye. It’s basically conducting a “health check” on your home to let you know what needs to be tackled before listing. But, even if you’ve already listed your home, conducting your own inspection could put you steps ahead in the home selling process. It could be an incentive to potential buyers when they see that sign that the home has already been pre-inspected. Buyers sense that the homeowner has done their homework and is serious about selling a well put together and well-maintained home. Knowing about any deal breakers early on can strengthen your negotiation hand and it can help you from being blindsided by buyers suddenly terminating the transaction because of something they are found on the inspection report. You can also negotiate a sale price from a more understanding position and it also means you will probably get offers from serious buyers so that nobody wastes time. A preinspection will provide all the defects that a surveyor finds and could potentially offer solutions and repairs for those issues. This also gives you the opportunity to fix those hazardous or most concerning issues and save you time and money on the backend. Just because you have an inspection report doesn’t mean you have to complete all of the “to do” jobs. You can hold off replacing major items or updating large fixtures such as appliances, cabinets, and counters but focus on easy things such as decluttering, repainting, and fixing anything that is an eyesore, drips, weeks, or creeks. Read More: Who should attend an inspection? Other options for speeding up a sale include being prepared at a moments notice for a showing. We tell our homeowners never to make a mass that cannot be cleaned up in 30 minutes or less. Being flexible is also a good way to get more homebuyers through the door. If they have to wait 24 hours for a showing you might miss them or if there are only certain allotted showing times, this can deter buyers from visiting on their schedule or at a moments notice. Of course, you’ll want to be reasonable with your showing times like 7 AM or 10 PM are usually out of the question. Ready to get started? Feel free to call us for a free in-house listing consultation at any time. Because our team works with both buyers and sellers we can help you stage your home for today’s buyers and price it correctly so that it sells fast. Can the seller’s response to an inspection kill the deal? Our team has been buyer focused for decades. We love homebuyers and there’s nothing more joyful then the look on homebuyers faces when we hand over the keys and they can walk to the door of their very first home or even their dream home after years of saving. Recently we have partnered with listing agents, George and Elisabeth Smith, who also have years of experience listing North Carolina real estate. While we love helping buyers, they have the same passion for homeowners and sellers. We figured this is an amazing team because when people need to buy and sell simultaneously, the thought of having different agents for both sides of the transaction just adds to the stress of the process. 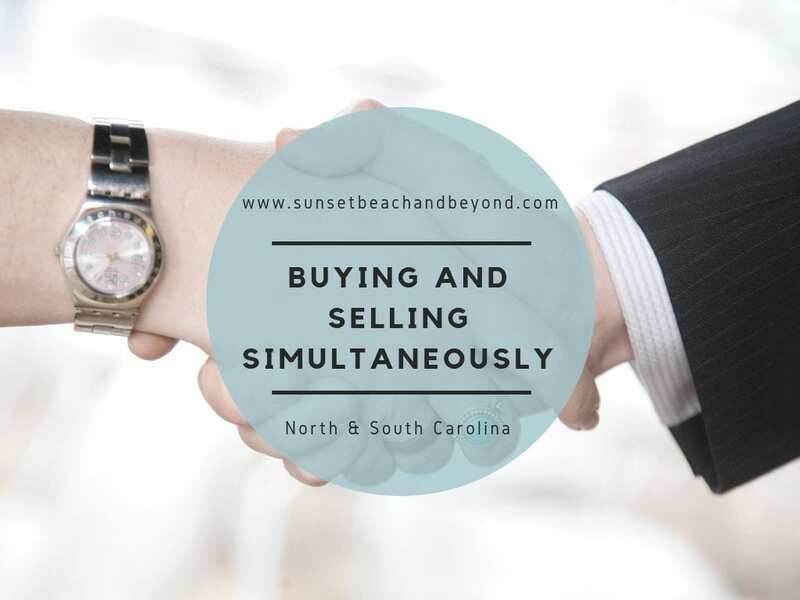 This is why if you are buying and selling a home in the Sunset Beach area or anywhere up and down the Intracoastal waterway of North Carolina and parts of South Carolina, we would love to be your one-stop shop for real estate needs. Because we worked with buyers for years we’ve not only built up good experience under our belt, but a good and healthy mix of resources and referrals. You need someone dedicated and reliable when it comes to real estate appraisers, home inspectors, survey specialists, lenders, escrow, and title companies. Because we’ve done this for years we have collected a group of individuals that specialize in the real estate transaction. 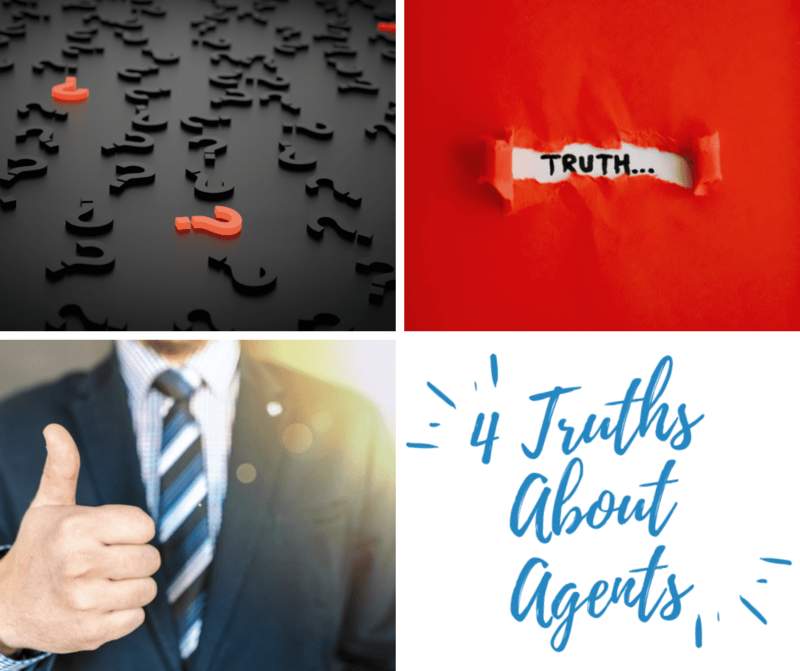 We are not amateur agents or brokers; because we’ve done this for years, we have experience and we have experience with others involved in the transaction. I can’t tell you how many times I’ve seen amateur agents out there tried to give referrals to businesses they’ve never worked with. If you’ve never worked with a lender or a home inspector, how can you know they are going to be a good fit for your client? And, we don’t just have one reference or referral; we have several because everybody works differently with different people. We have lenders and inspectors that work with real estate investors and others that work with first time home buyers. A well seasoned real estate investor knows what they’re looking for and they don’t need all of the handholding and detailed reports that a first-time homebuyer needs and should want. But, back to the simultaneous buying and selling. When you’re selling a home and buying another in the same area or within close proximity to each other, having the same teamwork on the transaction will keep things on point, on time, and help you close simultaneously. This is no easy feat. Selling and buying simultaneously takes a lot of communication, exact timelines and time frames, and excellent time management between all the parties involved. There are so many people when it comes to a real estate transaction that if you don’t have people all on the same page, mistakes are going to happen. I’m not saying that every deal you do with us will be perfect because every transaction is different and every home and buyer is unique, but, having everyone communicate together and having everyone familiar with each parties attitude, work ethic, and communication preferences really help to pull the entire deal together. If you need to buy and sell anywhere along the Intercoastal waterway of North Carolina even stretching down into Little River and Myrtle Beach South Carolina, give us a call. Our team handles all types of real estate, golf properties, homes on the Intracoastal Waterway and can help close your deal in a timely manner with as a minimal stress on you as possible. 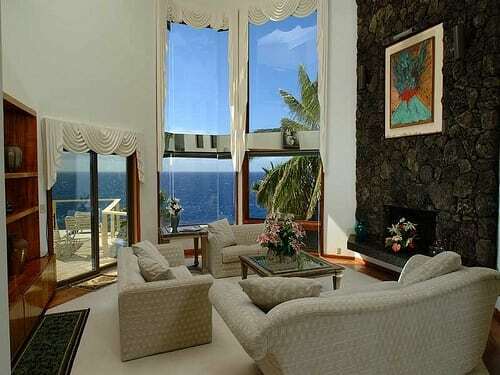 If you’re looking to sell your Sunset Beach home you probably want to get the very most profit from it. You can do this by tackling some very simple home improvements that can really boost the value of your home. Here are five ways to improve your home’s value and potentially increase the profit you’ll get when you sell. Living on the coast means we have access to some of the best foliage on the planet. Make sure you highlight that foliage, especially to people that might be moving here from the mainland. Make sure your trees are well trimmed, there’s no bushes or shrubs touching the house, there’s an easy pathway to the front door and you prepared any cracks in concrete, faulty steps or front door woodwork. If you’re still living in the 1980s with your bathroom lighting fixtures, it may be time to upgrade. Simply spending a couple hundred dollars on new lighting fixtures with a more modern twist can it not only improve the light in a room but can update the space quite substantially. #3. Keep each room as its original usage. If you’ve moved an office space into the dining room, a playroom in the formal living room or used a room for something other than the original purpose it’s time to move it back. Keep bedrooms as bedrooms or as a decorative office, set a nice dining table in the dining room and make sure the living room or formal living rooms are staged appropriately. #4. Update anything that buyers feel they’ll need to address when they move in. This could be a textured ceiling, older faucets, and fixtures, outdated paint styles or paneled walls or simply repairs that of never been completed. You don’t want buyers to think about all the things they have to do when they move in. You want your home to be move-in ready to appeal to the most amount of buyers. #5. Remove old window treatments. Unless your window treatments are updated and high-end, it may be time to remove them and simply let the natural light of the island shine through each room. There are simple ways to update and improve your home and if you want the most from the sale of your property, it certainly is worth the time and energy to update these items before listing. If you have more information about listing your NC Coastal home or how to stage your particular property please feel free to contact us at any time.